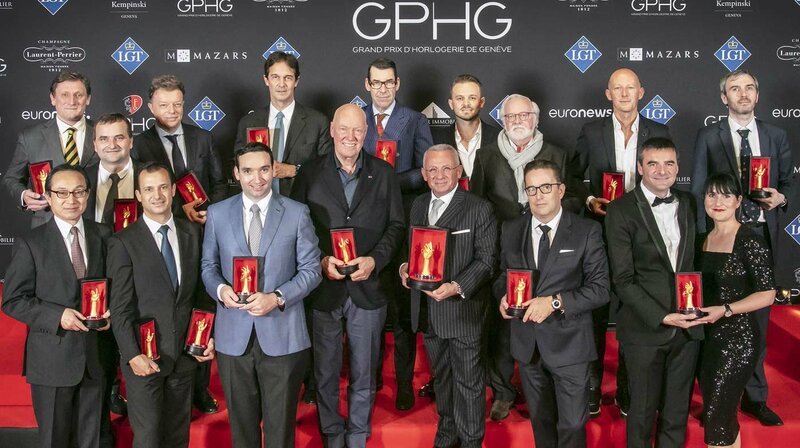 The 18th Grand Prix d’Horlogerie de Genève has announced its prizes and awards (see all the winners here). The result will not be to everyone’s taste, and that’s how it should be. 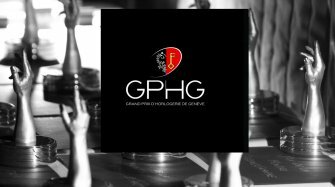 The Grand Prix d’Horlogerie de Genève is not supposed to please everybody. It’s not supposed to represent the entire watch industry; it’s supposed to represent its excellence. That is its strength, its raison d’être, and the result of its independence. If you need to find an equivalent, look at the world of cinema. It’s not the Emmy Awards, definitely not the Oscars, and still less the box office. It’s more like Cannes, an event that shares similar aspirations, tradition and glamour. 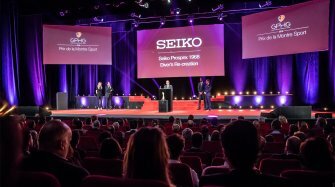 In Cannes, the jury bases its judgement on the quality of the cinematography. There are different categories, but what the members are looking for is excellence, in some form. It doesn’t matter if the film becomes a popular success, like Pulp Fiction did, or cinematic legend, like Apocalypse Now, or if, like Uncle Boonmee, it’s a complete flop. It also doesn’t matter whether the public understands the choice, whether producers support it, or distributors buy it. The point is to identify the best. So, what is the best of watchmaking in this vintage year 2018? Rather than looking at each category in detail, let’s focus on some of the more illustrative awards. We’ll begin with the Palme d’Or, or rather, the Aiguille d’Or Grand Prix, which was awarded to the Récital 22 Grand Récital by Bovet. 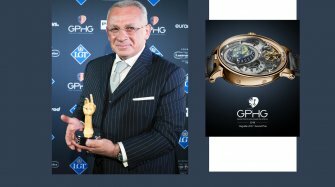 The award is a recognition of the company’s unwavering dedication to the principles of watchmaking creativity and expertise. This watch is the logical successor to the three previous models launched annually by Bovet, which explore astronomical complications, continually refining the display. The Récital 22 is the culmination of this quest. The Men’s Watch Prize, awarded to the Chronomètre Contemporain by Akrivia, recognises the extraordinary craftsmanship of a young watchmaker who is dedicated to the highest standard of finishing. In terms of style, the Chronomètre Contemporain is no UFO; it’s an elegant timepiece, masculine without being macho, and it looks as good from the back as it does on the front. The Ladies’ Complication category was won by the Lady Arpels Planetarium by Van Cleef & Arpels. 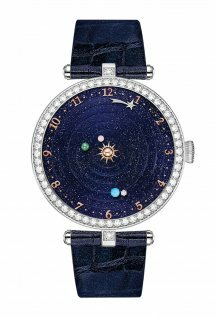 While the idea of a watch that shows the planets orbiting around the sun is by no means new, this timepiece also incorporates the narrative element that sets Van Cleef & Arpels apart. Placing the complication at the service of a feminine, ethereal, astronomic story is quite an exploit. Indeed, complication prizes are not just there to reward the most complicated complications. It’s a lot more complex than that. And that’s why the Men’s Complication prize was awarded to Laurent Ferrier for his Galet Annual Calendar School Piece. Some might point out that this is only an annual calendar. But behind this fact lies Laurent Ferrier’s entire approach to watchmaking. In a way, it is a reward for the stubborn single-mindedness of a watchmaker who continues to plough his own haute horlogerie furrow of discreet minimalism. The Chronograph Watch Prize is probably one of the easiest to explain. The chronograph is an area where there is currently very little innovation. The Singer Reimagined Track1 is such an outlier in terms of appearance, construction and function that it’s something of a no-brainer. The same applies to the Chronometry Watch Prize. De Bethune is a laboratory of technical innovation. What matters is not so much that the DB25 Starry Varius Chronomètre Tourbillon achieves exceptional precision, which it does. What’s important is everything else that has gone into it. This watch embodies a multitude of imaginative, innovative elements that chime with the founding principles of De Bethune’s watchmaking style. 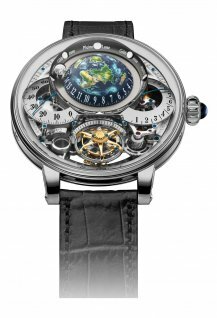 Greubel Forsey is well used to accolades. So when the company decided to create a Grande Sonnerie, the most extreme complication in the entire watchmaking pantheon, the result was bound to be exceptional. This watch is indeed a tour de force of horological complexity, paired with exceptional quality of execution, which makes it richly deserving of the Mechanical Exception prize. There was quite a crowd on the start line for the Sports Watch Prize. The decision to choose Seiko was a recognition of the rich history of Japanese sports watches. 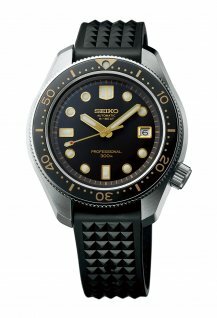 Seiko in particular is an assiduous producer of diving watches at all price ranges, depth ratings and technical capabilities. The Seiko Prospex 1968 Diver’s Re-creation is a perfect synthesis of the Japanese watchmaker’s current output and the brand’s strengths. The Jewellery Watch Prize went to the Van Cleef & Arpels Secret de la Coccinelle. It’s a pastoral scene with a blade of grass, made not out of leaves and insects but rubies, emeralds and tsavorites. Once again, behind this object lies a story replete with symbolism and detail, told using a distinctive vocabulary in an easily readable style. The Petite Aiguille Prize came as a surprise to many. Habring2 may be a small brand, but it is not an unfamiliar name on the prize lists. A closer look, however, provides ample justification for the award: a split-seconds chronograph, in beautifully wearable dimensions, with an in-house movement, for that price... No more need be said about the Doppel-Felix. The Challenge Prize is, in a way, the petite petite aiguille. It rewards a watch that does a lot, for less. These are the colours that Nomos has nailed to its mast. The Tangente Neomatik 41 Update also won the prize on behalf of the other extremely affordable collections offered by the brand, all fitted with in-house calibres. The Special Jury Prize, awarded at the jury’s discretion to a person or institution, went to Mr Jean-Claude Biver. Although now semi-retired, this man’s vision contributed to the revival of high-end mechanical watchmaking and laid the groundwork for modern watchmaking as we have come to know it over the last 20 years. He made his mark in the very highest echelons, mainly with Blancpain and Hublot. 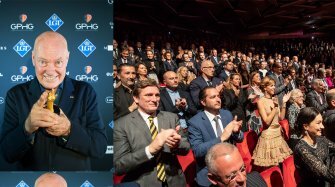 Once again, the Grand Prix shows its dedication to watchmaking excellence.